OMINOUS: Russia War Games in the East - But Moving Reserve Troops and Tanks WEST! The exercises, which are set to involve nearly 300,000 Russian troops, 1,000 aircraft and 900 tanks, will also include units from China for the first time. They will start on Sept. 11. 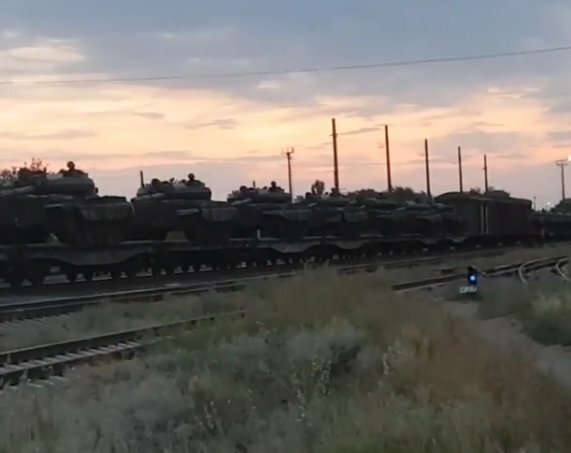 But while Russia is talking about its "war games" in the east, they are moving THOUSANDS of Reserve Troops and TANKS to their western and southern military districts which border EUROPE! First as a frame of reference, here is a map showing the location of Russia's "Military Districts:"
Beginning September 11 and continuing through September 15 Russia will undertake the largest war games drill since 1981, named Vostok2018. Some 300,000 Russian troops, 1,000 aircraft, and over 900 Main Battle Tanks (MBT) are taking part. 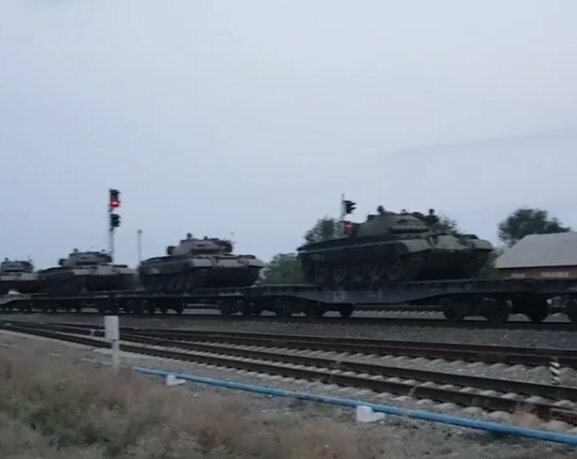 For the first time in history, Russia has invited China to participate, and China has now sent trainloads of People's Liberation Army (PLA) Tanks across the border into Russia. Here's the problem . . . While this "war game" is supposed to take place in the Eastern Russia Military District. RESERVES and TANKS from that same Eastern district are being quietly moved to the WESTERN AND SOUTHERN Military Districts! But instead of being moved to the "war game" location, they have been moved to the SOUTHERN Military District to a rail head in Volgograd! Russia CAN, HAS, and DOES use major military exercises like this to mask significant military movements to theaters who really need them. Examples? See Georgia 2008 and Ukraine 2014. Two issues - Syria, and movement of tanks and troops toward Russia's border with Europe - appear to be linked. Syria and Russia will begin the final battle to end the Syrian war situation within 24 hours. That major battle will take place in a province called Idlib. Russia has said elements from western governments have already brought 8 tankers of Chlorine gas into the Idlib area to perpetrate a FALSE FLAG chemical weapons attack so as to justify the west attacking Syria once again. An attack by the west now would do severe harm to ending the Syria war situation. Is Russia warning the west that further interference with them in Syria will result in an attack against Europe? Possibly a full invasion of Ukraine? Is China warning the west that they now stand with Russia and a "Battle Royale" is in the making?